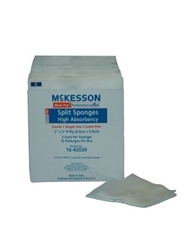 Medi-Pak Performance Plus Poly Rayon Sterile Split Sponges provide high absorbency with virtually no linting. They are strong and durable and provide greater wicking properties than cotton gauze. 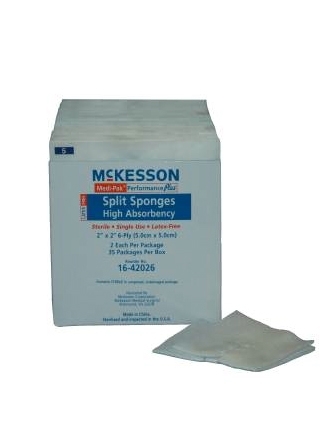 Medi-Pack Poly Rayon Sponges are sterile 6-Ply sponges. They are perfect for use around drains, chest tubes, catheters, tracheotomies and I.V.’s. Come in sterile packs of 2 sponges. This site has the best quality of products at the lowest prices. Try to match these prices anywhere else and the quality is "bottom shelf".